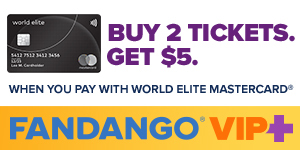 Lou Ferrigno and his wife Carla at the world premiere of "The Hulk." 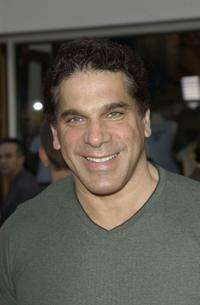 Lou Ferrigno and Marvel Comics at the world premiere of "The Hulk." 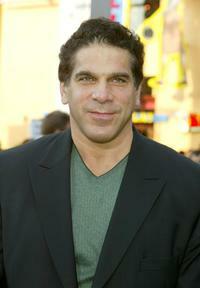 Lou Ferrigno at the world premiere of "The Hulk." 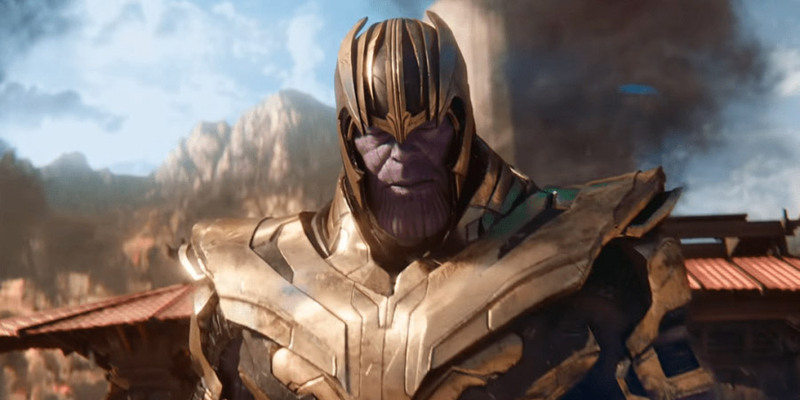 Lou Ferrigno at the Sci-Fi and Fantasy Creators Convention. 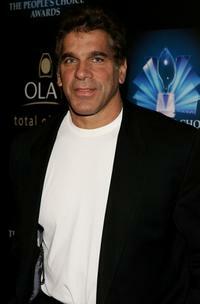 Lou Ferrigno and wife Carla at the 3rd Annual Taurus World Stunt Awards. 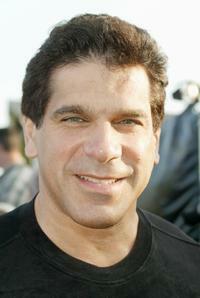 Lou Ferrigno at the 3rd Annual Taurus World Stunt Awards. 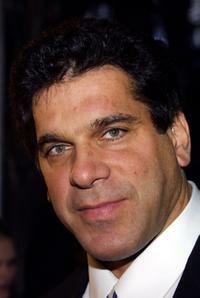 Lou Ferrigno at the Martin Scorsese's Film Foundation and Norby Walters 12th Annual Night of 100 Stars Oscar Gala. Lou Ferrigno and Eric Bana at the world premiere of "The Hulk." 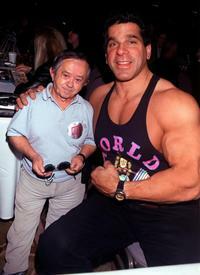 Lou Ferrigno and Felix Silla at the Hollywood Collectors and Celebrity Show. 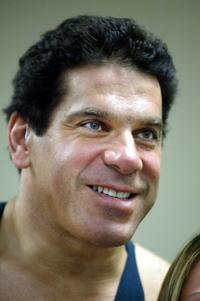 Lou Ferrigno and wife Carla at the 35th Anniversary of Gold's Gym. 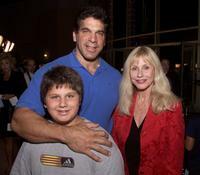 Lou Ferrigno, his wife Carla and son Brent at the premiere of "Extreme Days." 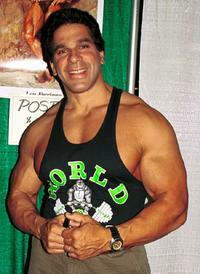 Lou Ferrigno at the Annual Norby Walters Holliday Party. 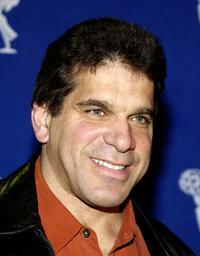 Lou Ferrigno and guest at the 25th anniversary celebration of the film "Pumping Iron." 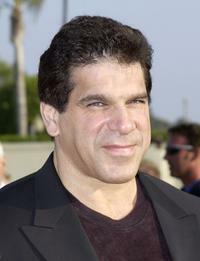 Lou Ferrigno at the 30th Annual Saturn Awards. 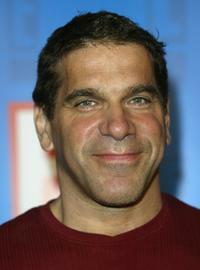 Lou Ferrigno at the Academy of Television Arts and Sciences presentation of "Behind the Scenes of King of Queens." 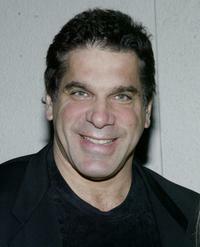 Lou Ferrigno at the 32nd Annual People's Choice Awards. 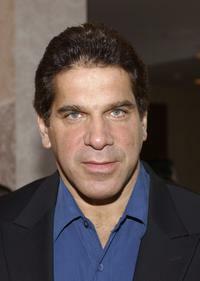 Lou Ferrigno at the second annual New York Comic And Fantasy Creators Convention. Lou Ferrigno at the E! 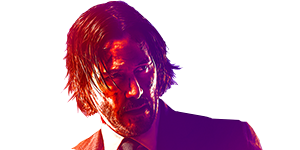 Entertainment Television Summer Splash.